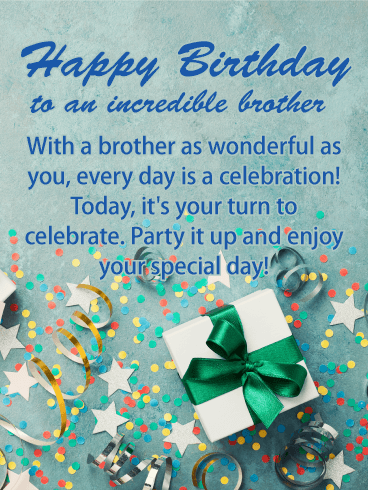 This birthday card may look like the Fourth of July or Christmas, but it's really all in celebration of your wonderful brother's birthday. This birthday card is a celebration in itself. With the multicolored confetti and decorations, it simply screams celebration. 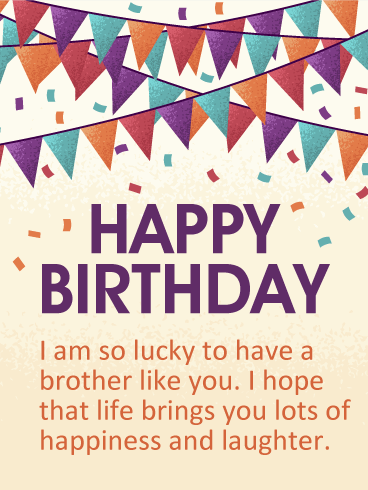 As an added bonus, the birthday card lets your brother know how much you care about him. There's never been a better way to celebrate! 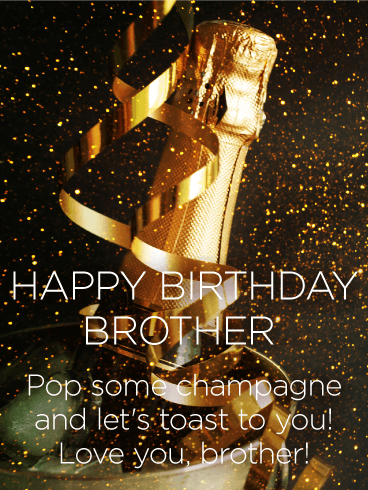 Send your awesome brother a birthday card today and get the party started. The festivities start now! Time to crack open a cold one. 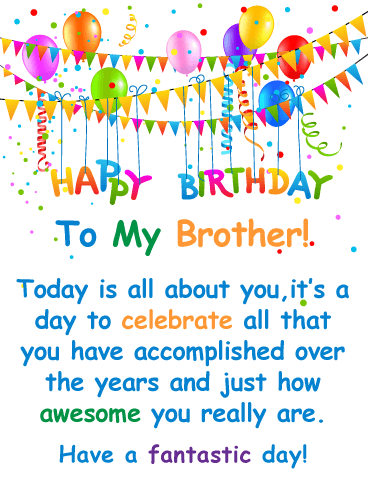 Send this great birthday card to your brother today! Celebrate the good times with your brother! This year, send him a birthday card that he won't forget. 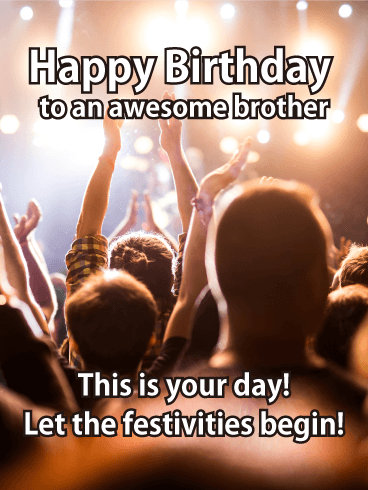 There are plenty of ways to celebrate your brother's birthday, and this is a super fun and easy way to spice up his day with good cheer. Wish him a day of awesomeness that exceeds all his expectations! Send this birthday greeting today and make his inbox that much more festive. Take a look at this snazzy birthday card! The gold colors are eye-catching, and the shining confetti is perfect look. Champagne is a fantastic idea, especially on a birthday! 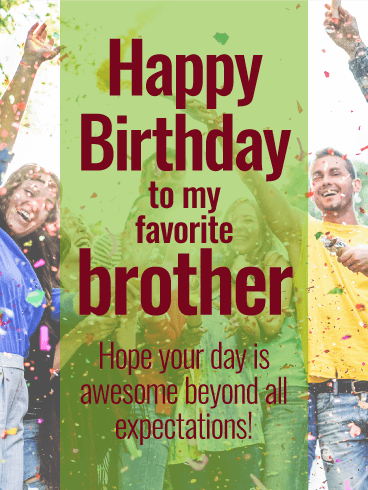 This birthday card is perfect for any brother, and it's sure to give him a good laugh. Is your brother awesome? Do you feel lucky to have a brother who is so great? 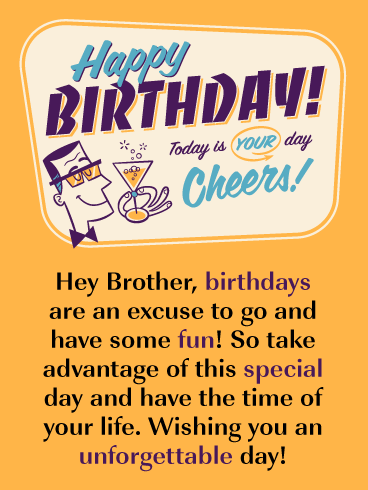 Let him know with a fun card to celebrate his birthday! This Happy Birthday card is decorated with confetti and pendants - the perfect way to get your brother's party started! 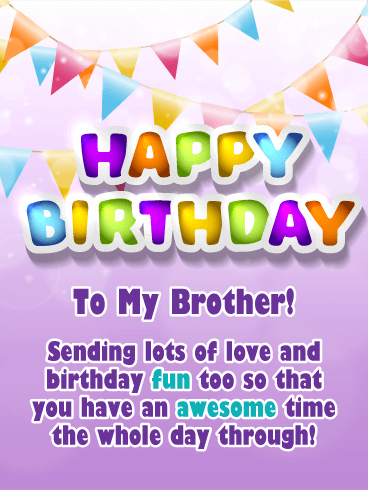 The sweet message will wish him a "Happy Birthday" and let him know how much you love him!